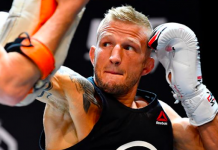 Earlier this month, TJ Dillashaw defended the UFC bantamweight title with a first-round knockout his rival Cody Garbrandt. On the same night, Olympic gold medalist Henry Cejudo did the unthinkable, capturing the UFC flyweight title from seemingly unstoppable flyweight champ Demetrious Johnson. Since then, Dillashaw and Cejudo have flirted with the notion of fighting each other. 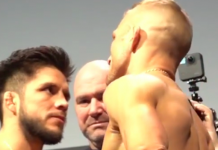 At first, the idea was that Cejudo would move up to bantamweight to challenge Dillashaw. 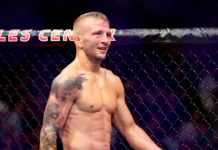 More recently, however, Dillashaw and his coach Duane Ludwig have implied interest in dropping to flyweight to fight Cejudo. 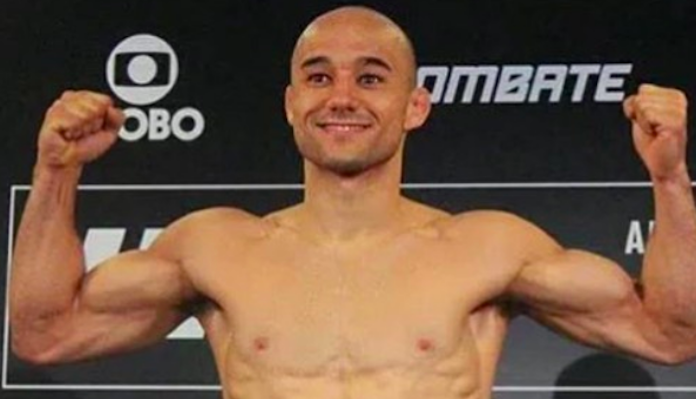 If TJ Dillashaw does battle Cejudo next, top bantamweight contender Marlon Moraes feels that he should vacate the bantamweight belt. Whatever the case, he’d like Dillashaw and Ludwig to stop trying to call the shots. If TJ Dillashaw does vacate the belt, Marlon Moraes would be happy to battle Dominick Cruz for the vacant title. Otherwise, he feels he should be given priority over Cruz for the next bantamweight title shot. Who do you want to see Marlon Moraes and TJ Dillashaw fight next? 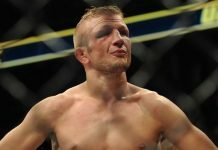 This article first appeared on BJPENN.COM on 8/14/2018.